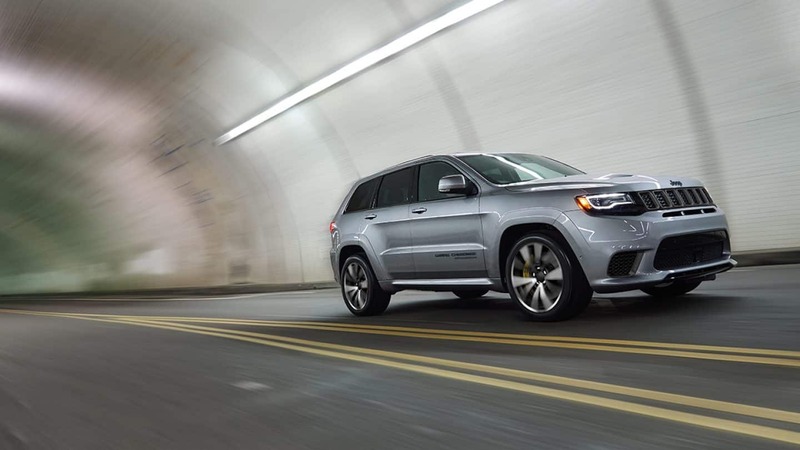 The Grand Cherokee serves as the leader of the Jeep model lineup, delivering outstanding capabilities both on and off the road and loads of luxurious features that make every ride better than ever before. The Grand Cherokee also offers comfortable seating for up to five passengers and tons of cargo so you can hit the road for any adventure! In the 2019 model year, there are seven trim levels to choose from including dedicated off-roading and performance driving models. We are going each trim level below to help you find your perfect lifestyle match so keep reading! Laredo: The entry-level Laredo trim level starts the lineup off with the standard engine and tons of fantastic features! Under the hood, you will find a 3.6L V6 pumping out 295 horsepower and 260 lb-ft of torque. Standard features include a 7-inch touchscreen interface, the Uconnect infotainment system, rear parking sensors, a six-speaker sound system, dual-zone automatic climate control, keyless entry and ignition, 17-inch wheels, and Apple CarPlay and Android Auto smartphone integration. Limited: Step up to the Limited model and you find even more features that are sure to impress! In addition to all the features from the Laredo model, the Limited adds features like a power liftgate, remote engine start, heated front and rear seats, auto-dimming mirrors, driver-seat memory settings, a 115-volt power outlet, leather upholstery, 18-inch wheels, a heated steering wheel, and power-adjustable front seats. You have two engine options for the Limited trim. They include the standard V6 and the available 5.7L V8 that generates up to 360 hp 390 pound-feet of torque. 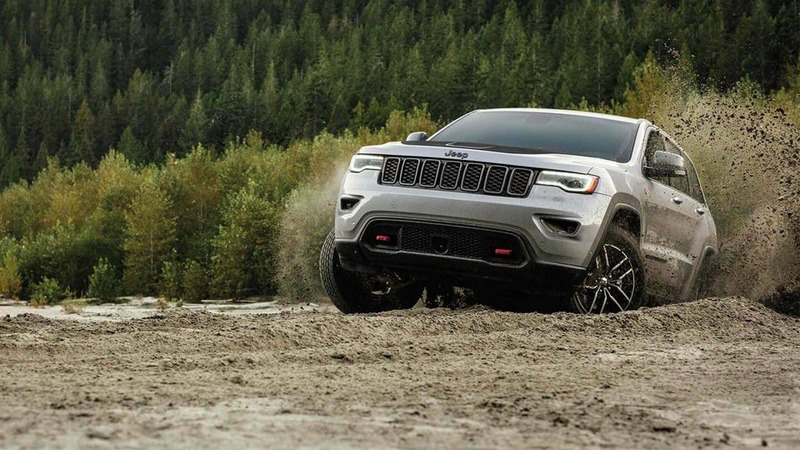 Trailhawk: If you dig off-roading then the Trialhawk is the trim for you! This model comes with features like exclusive 18-inch wheels, off-roading tires, exclusive exterior styling, an electronic rear differential, 4Wd with low-range gearing, a terrain-selectable traction control system, an adjustable air suspension, underbody skid plates, increased suspension, upgraded instrument cluster display, and hill ascent and descent control. The Trailhawk, like the Limited, can be powered by either the V6 or V8 engine. Overland: Opt for the Overland model if you are looking for more luxurious features. The Overland model takes after the Trailhawk model, losing some of the off-roading features while adding features like the CommandView dual-pane panoramic sunroof, heated and ventilated front and rear seats, a premium Alpine sound system with a 506-watt amplifier, an 8-inch subwoofer and nine speakers, and the air suspension system. This trim level can also be powered by either the V6 or V8 engine. Summit: The Summit trim level is the most luxurious trim level of the lineup. This model comes with features like a self-parking system, active noise-canceling technology, polished 20-inch wheels, a suite of advanced safety features, additional noise-reducing window glass, upgraded leather upholstery, a premium 19-speaker Harman Kardon sound system, and all the features from the Overland model. This trim level can also be outfitted with either the V6 or the V8 engine. SRT: The SRT trim level is up next and it starts bringing the performance geared features to the game. Those features include a specialized AWD system that is tuned for high-performance driving, performance tires wrapping 20-inch wheels, sport-tuned steering, adaptive sport-tuned suspension, sport-tuned brakes, a limited-slip rear differential, a sport body kit, and selectable performance modes. This trim level is powered by the model exclusive 6.4L V8 that generates 475 hp and 470 lb-ft of torque. Trackhawk: The final trim level is the Trackhawk and it comes outfitted with even more performance related features. They include an upgraded adaptive suspension, more aggressive-looking bodywork, Brembo brakes, high-performance tires, lightweight 20-inch wheels, unique interior design elements, and upgraded upholstery. This model is powered by the trim exclusive supercharged 6.2L V8 that pumps out up to 707 ho and 645 lb-ft of torque. 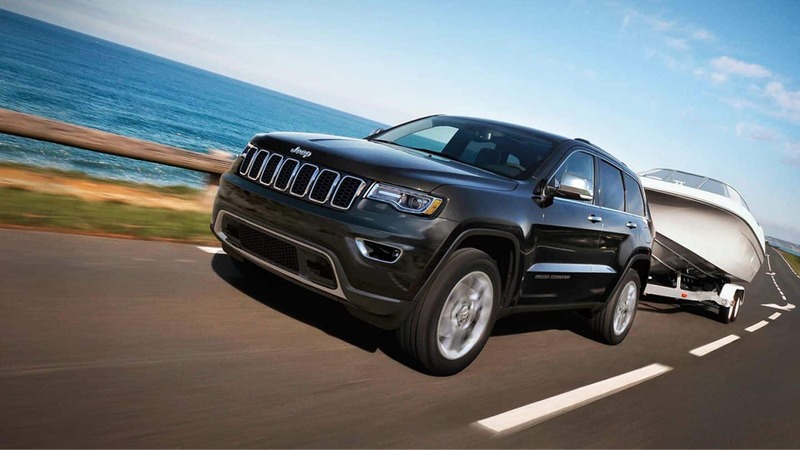 There are so many great 2019 Jeep Grand Cherokee models available and we have tons in stock for you to check out! Head over to our online inventory page to check them all out and then head on down to the dealership to check them out in person!